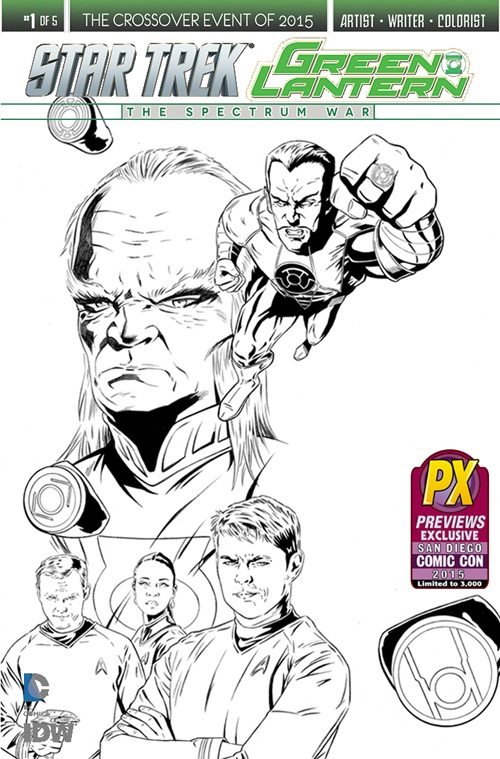 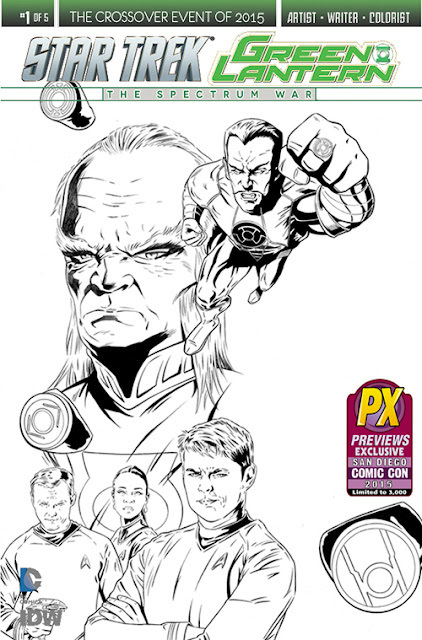 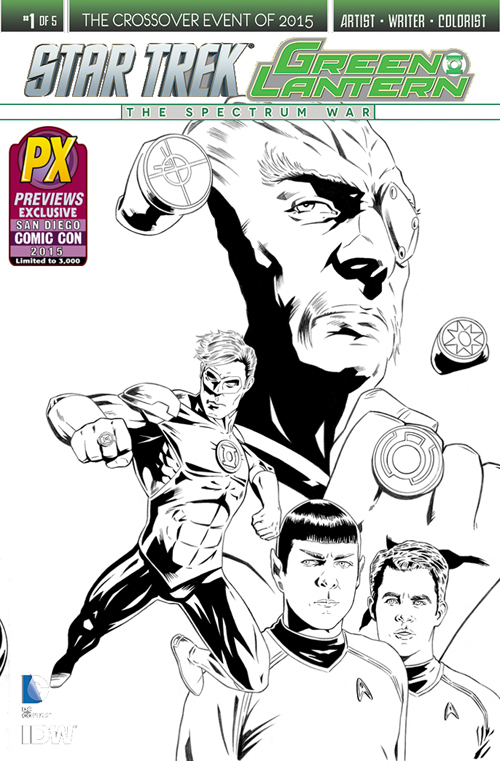 The Trek Collective: More Green Lantern crossover covers! The first issue of IDW and DC's forthcoming nuTrek/Green Lantern crossover, The Spectrum War, already had an impressive seven covers on the way, and now with the first Star Trek San Diego Comic Con exclusives revealed, that rises to an unprecedented ten covers for the first issue alone - This is a new record for Star Trek comics, beating last year's first issue of The Primate Directive (the Planet of the Apes crossover), which had nine covers in the end, including a second printing variant, which very probably will happen with this new crossover too! 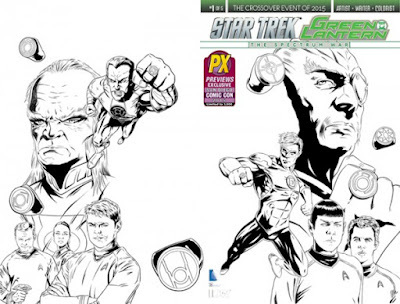 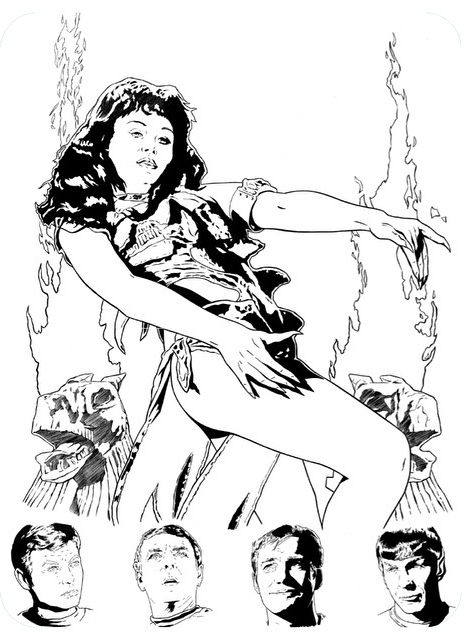 (Thanks to the Star Trek Comics Checklist for making that so easy to look up!). To check out all the other covers available for this issue, see my previous report.